It is time once again to unplug from technology and my role as an educator. Last year, I posted that I was taking some time to completely unplug from technology and from my role as an educator ("Weekend Unplugged from Technology and from Being an Educator"). Tomorrow afternoon, I will again journey into the North Carolina mountains in order to participate in a 5-Day Insight meditation retreat entitled "Mindfulness: The Path to Freedom." At last year's retreat, I was fortunate to spend three days in meditation and mindfulness instruction with a spectacular teacher, Tempel Smith. 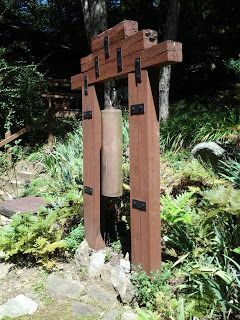 This year, I will be spending five days in retreat at the Southern Dharma Retreat Center in Hot Springs, North Carolina focusing on Mindfulness meditation. As I pointed out last year, I do not share this with any intention of evangelizing or trying to convince anyone of the religious merits of Buddhism or meditative religion. But my experiences in retreat last year were transformational. I am confident this year's retreat will offer an opportunity to reflect and look inward even more. This weekend, I have no access to the Web, which means no Twitter, no blogs, no Facebook, no email, no cell phones, and even no television. And, since it is a silent retreat, I will also be left to noise of my own thoughts, which is as it should be in contemplative exercises. Hopefully, I will be able to share thoughts, reflections, and experiences with you upon my return next Wednesday. Have a great weekend, and take some time yourself to unplug before the madness of the new year begins.